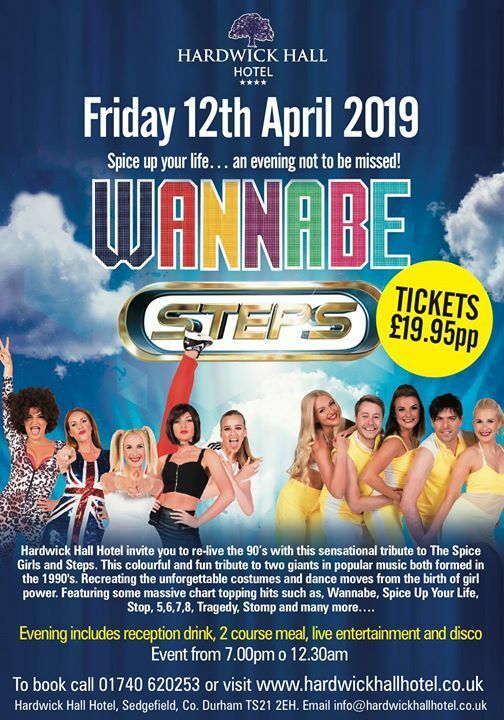 Spice up your life… an evening not to be missed! 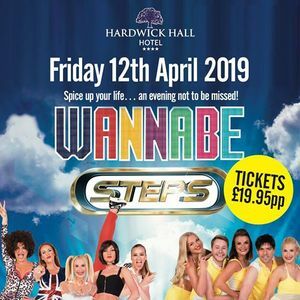 Hardwick Hall Hotel invite you to re-live the 90’s with this sensational tribute to The Spice Girls and Steps. This colourful and fun tribute to two giants in popular music both formed in the 1990's. Recreating the unforgettable costumes and dance moves from the birth of girl power. Featuring some massive chart topping hits such as, Wannabe, Spice Up Your Life, Stop, 5,6,7,8, Tragedy, Stomp and many more.